Striking like a drop of acid in a Virgin's brain, K.AS. (Vadim Cherkashin) is one of the new leading project of the psychedelic trance underground. Russian born, he moved to Israel in the 90's to settle down. In 1998, he got involved very fast in the electronic music scene when he had his first psychedelic experimentation's (Another Dr Hoffman disciple). ''Kalilaskov AS'' project started in 2000 and for the next 5 years, his time and efforts were spend on creating original sounds and trying crazy stuffs. It's now the time for ''Kalilaskov AS'' to make you experience this crazy new vibes designed to take you to another realm of awareness. 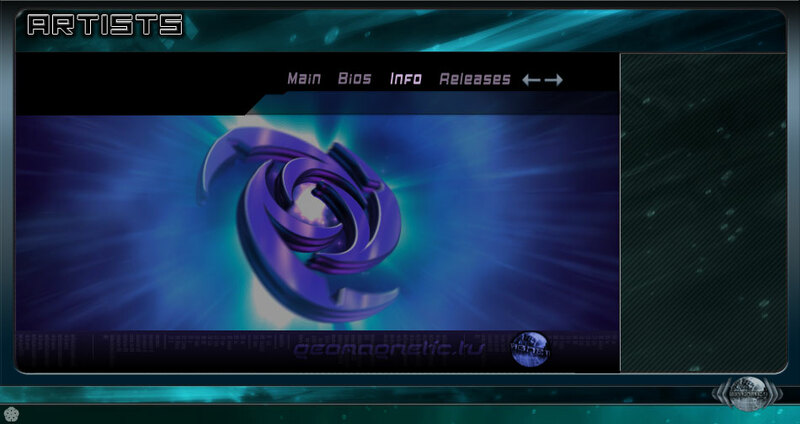 After his first release on Nabi Rec., Vadim's music , as a computer virus, spread among the listeners and became very quickly a new standard of quality in Israeli dark psychedelic trance. Now playing in parties and festivals all-over the world. His music and his talent are now recognized and being supported by many other independent labels.